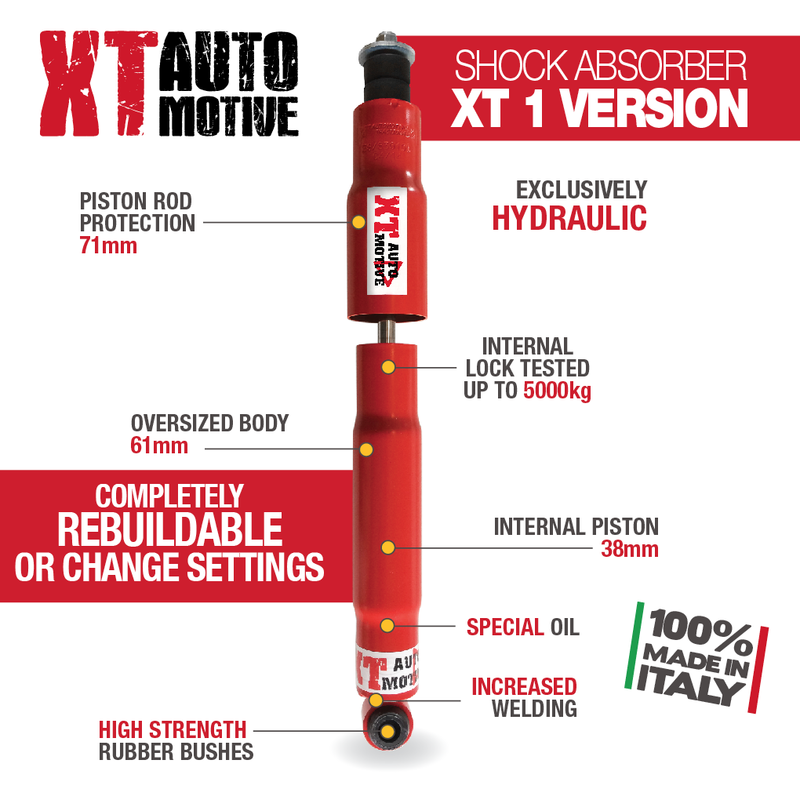 Today we talk about our range of shock absorbers XT AUTOMOTIVE. 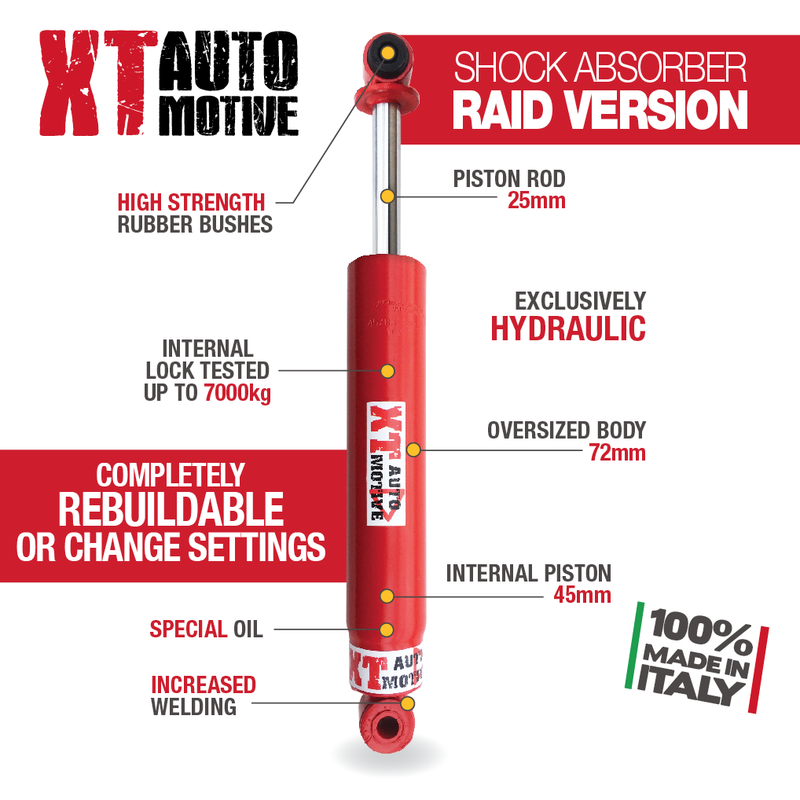 These shock absorbers as well as being EXCLUSIVELY MADE IN ITALY to the highest quality standards in the world, certified ISO 9001: 2000 are made following our specific indications of production. We wanted to bring to the market a product with very specific off-roadperformance with high reliability, durability and great value for money.